Massachusetts Democratic Party rejects attempt to amend platform to single out 'settlements' as the obstacle to Middle East peace. 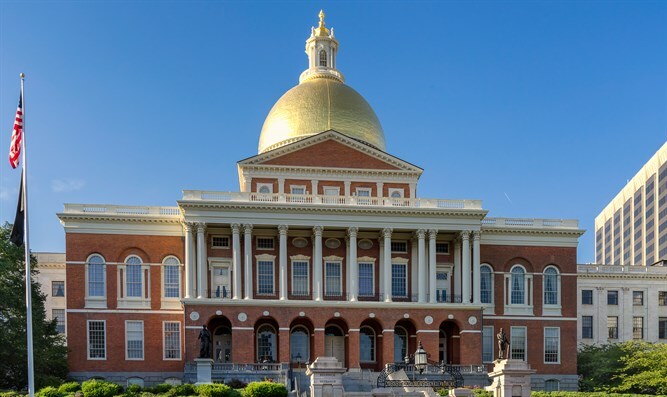 JTA - An effort to amend the Massachusetts Democratic Party’s platform with language that call Jewish communities in Judea and Samaria “obstacles to peace” was ruled out of order at the state’s convention, ending a months-long effort to push through the controversial resolution. The move by proponents to amend the party’s platform at the full state convention on Saturday followed a failed attempt last April to have the party adopt a resolution on “peace and security for Israelis and Palestinians” that singled out Israeli 'settlements' in Judea and Samaria without mention of Arab violence or incitement. The proposed resolution, submitted by a long-time party activist, stated that “Israelis and Palestinians deserve to live in peace and security,” and cited a July, 2016 State Department declaration that opposed settlement activity. It called on the state’s U.S. Congressional delegation to oppose Israeli settlements in pursuing a negotiated peace. State party leaders and Jewish communal organizational leaders vehemently opposed the resolution, calling it unbalanced and one-sided. Its supporters, including leaders from Cambridge-based Palestine Advocacy Project, said their resolution was not a radical departure from the positions of past U.S. administrations.